In the ever-expanding world of forex trading and confident continuous services Forex VPS was born. What is VPS, it’s a virtual private server. Which means you get a virtual machine or server for your own use. This guide gives you information about the basic of Forex VPS and choosing forex vps for your Expert Advisor. 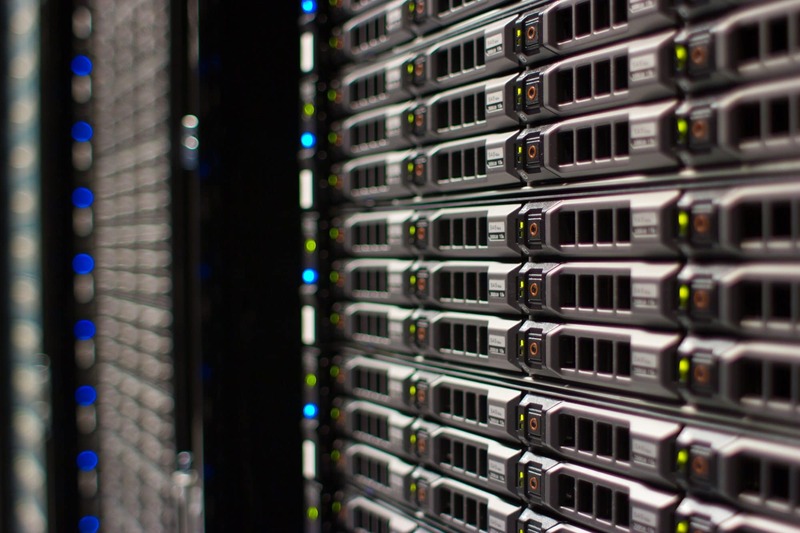 A dedicated server is usually much more powerful than your average home or office system. It has a stronger core, larger RAM and a larger disk. It also sits in a server farm, a place where hundreds if not thousands of servers sit and are constantly maintained with a dedicated generator in case of power outages. A VPS is a dedicated server that has been set aside for many users, which means you own part of a server with other users. With a VPS You get full admin level access enabling you to upload any software. Basically, a Virtual private server is part of a dedicated physical server. The only difference being is that a single dedicated physical server is usually too big and too expensive to buy for just one Forex trader, whilst many VPS may populate one DPS, so it’s a much cheaper option offering similar results. Although it’s cheaper compare to dedicated server, you will still need to find the best forex robot hosting provider as trading is a serious game. Algorithmic trading is what moves the markets today, whilst many portfolios are manually run, 24/7 trading is performed by computer based algorithmic software, what we term an Expert Advisor (EA) or Forex Robot. These robots run on trading platforms such as metatrader 4/5, ctrader etc. Choosing your trading platform is based on the type of trading you want to do, and choosing the EA or Robot is based on which platform you will use. It’s always best to compare robots and platforms against the type of trading you want, and then buy compatible options. EA’s are algorithms that perform trading tasks that best suit your purposes. If you are not a trading or mathematical genius, then you must rely on the wisdom of a trading platform that offers you various EA’s. if you are an experienced trader but not a good programmer it might be worth your while employing a freelancer programmer to write you up a specific algorithm that suits your particular trading style. Remember, the EA performs trades based upon your presets. There are different EA’s for different trading styles, and if you don’t understand Forex trading you will not understand EA’s. To put it simply, an EA is about moving averages, a moving average is how we smooth out trading positions over time and view the market. These smoothing curves are used to project possible future trends. Forex trading can be about spot, options, futures and exchange traded funds. Each one is unique and each one has different algorithms (EA’s) for different trading styles. Why Choosing Forex VPS is Important? Now, you’ve invested in a robot, but before you invest in a software, consider a platform you will need to keep it on. If you are a serious Forex trader that wants to keep your meta-trader platform operational 24/7 then a best forex robot hosting is your only real option. The Forex VPS is connected to an external server that is used to manage the connectivity making sure that the line won’t go down in case of electrical or computer issues and most traders opt for best forex robot hosting because it usually enables their robots to operate continuously.You invested a lot, its a hard decision while choosing forex vps provider. Choosing Forex VPS provider is the key to success in operating a VPS Forex system. The main issues for a successful VPS hosting service is making sure they operate on the operating systems you are comfortable with, that means choosing a Windows or Linux based hosting plan. The second issue would be the VPS configuration, that means RAM, disk size, backup systems, date transfers and more. Finally, you need to choose between a dedicate Forex VPS hosting service or a VPS hosting service and you install the Forex software. We suggest that unless you intend to be a dedicated Forex trading service, offering services to clients, you choose a Forex VPS service provider, since they have all the know-how and software in place and if you have any additional requirements its easier for them to understand your requirements. This usually gives the best hosting solution to most. The final issue to deal with is price, this is based on your personal investment portfolio and what you want to get out of the service plan you choose. Don’t compromise price for a a good performance forex robot hosting. We are a leading of Forex VPS experts and Hosting experts, coming together and combining our knowledge and experience to create the world’s first and most powerful Dedicated Forex VPS platform (DFVPS), This means that your Forex VPS is a dedicated host for Forex trading. Check out Forex VPS Malaysia Review to know why we are the best forex robot hosting provider. Our combined experience has brought us together where we synthesize and evolved our knowledge base and now have a complete Forex VPS hosting solution, offering you a wide range of services ranging from secured hosting, dedicated Forex VPS and robot software that will allow you to enjoy life and relax whilst your system works for you. Our services include choosing your VPS requirements, size, RAM power, CPU speed, your Forex bots. and your accessibility requirements. Do you desire assist or un-assisted administration? Do you need more or less app add-ons? Which specific type of trading are you interested in, or do you want a wide range of trading options. Do you require full anonymous or are you happy with fully disclosed? Where is the server situated, geographical location? How many cores does it have, what is the communications speed and speed? Is it MT4 optimized? EA optimized? What server OS does it use? We are here to help you.